“Enbridge initiated this summer several studies, inspections and maintenance project along the dual pipelines of Line 5 in the Straits. 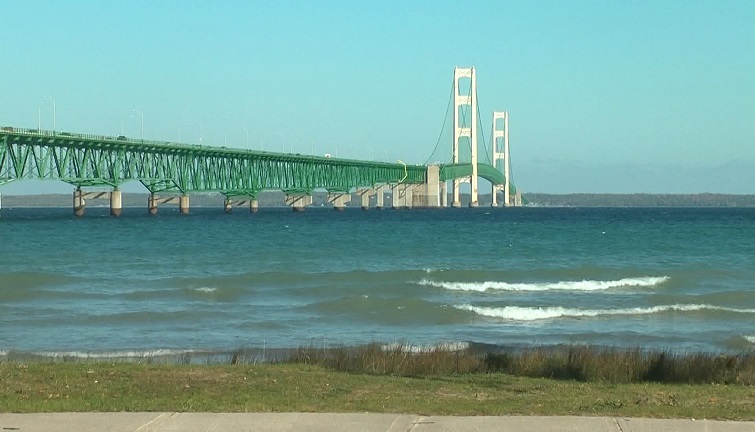 LANSING — The Michigan Agency for Energy, Michigan Departments of Environmental Quality and Natural Resources and the Michigan State Police expressed concerns today about new information confirming there are gaps in the protective coating on a portion of Line 5 in the Straits of Mackinac, at least one of which was apparently caused during the installation of supportive pipe anchors. In response to the findings, the state called for the immediate inspection of areas around every anchor on Line 5, a report to the DNR and DEQ of any findings from the inspections, a copy of the video of the recent work performed on the pipeline, and repair within 30 days of any damage to the pipeline’s coating.